How Effective Is the Ice Bucket Challenge in Raising ALS Awareness? Facebook, Twitter and Instagram have been flooded over the past two weeks with an onslaught of #IceBucketChallenge videos. Participation is very simple: Pour ice water on yourself and film it within 24 hours of receiving an invitation, or donate $100 toward ALS (Amyotrophic Lateral Sclerosis) research. The campaign, challenge and hashtag trend were created by the ALS Association on Aug. 6 to raise awareness for the illness, also known as Lou Gehrig's Disease. Despite the movement's clear-cut goal, many have criticized it as a form of "clicktivism" that ultimately delivers more faux-activist pride to the participants than funds to the ALS researchers. However, digital content data and marketing technology company Amobee suggests the negativity may be unwarranted. Scanning more than 2 billion online mentions, it saw that the number of viewers who saw or read content that referred to the terms "ALS," "Lou Gehrig's Disease" and "Ice Bucket Challenge" skyrocketed from the week of July 30 to the week of Aug. 6. Specifically, items that included the term "ALS" increased 1,007 percent, and ones that mentioned Lou Gehrig's Disease increased 1,167 percent. And, since the campaign began, there's been 42 percent fewer materials read or seen with the words "Ice Bucket Challenge" compared to ALS-related terms. Another significant increase: The rate and total of donations have rapidly risen. TIME reported that $1 million was raised last weekend, and a total of $2.3 million has been raised since July 29. During the same time period last year, the organization only brought in $25,000 in donations. The campaign can certainly attribute part of its success to the social media efforts of high-profile celebrities and everyday citizens who participated. 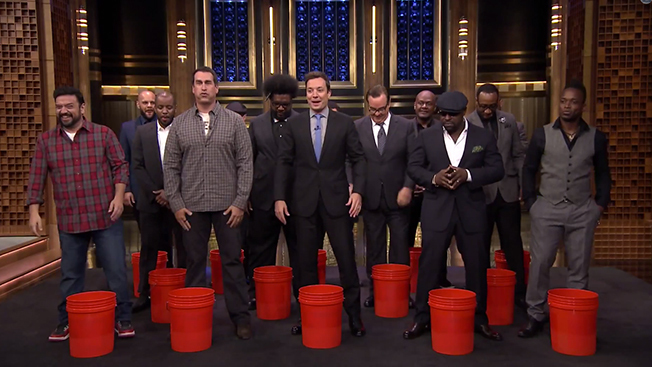 Below is a sampling of some of the most popular #IceBucketChallenge videos.